The event will be held at El Dorado Ranch, inside the La Ventana del Mar community in San Felipe, Baja. The dates are Friday, October 22nd and .October 23rd. 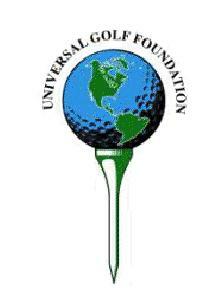 This charity golf tournament is being conducted through the Universal Golf Foundation, a non-profit organization created to support a variety of important causes in the San Felipe area. The San Felipe Educational Scholarship Fund is the benefactor of the even this year. We are supporting its objectives to enhance and further educational opportunities for all children and at all levels of learning in San Felipe. We are in the final stages of organizing the event, and are expending every effort to ensure the most successful charity event possible. All contributions, whether monetary, product or service, are welcome. As you will note, we are making available a limited number of sponsorships. We hope you will join us today as a Gold, Silver, Bronze or Hole Sponsor for this very worthy cause. We will provide you with services rendered form as well as official government documentation that support the non-profit organization for your accounting and tax filing purposes. Please advise us of your decision to participate by October 15th. All sponsorship forms and contributions are required by October 15th, 2010. If you have any further questions or concerns in regards to the event, please contact us at 686-576-0517 from Mexico, or 1-800-404-2599 ext. 4417 from USA or Canada. One of the tournament committee members will be glad to assist you. Again, thank you for your support.